Veteran City financier and pension scheme rescuer, Edmund Truell is working on a £1 bid for Tata Steel UK, according to reports in a national newspaper. The deal could lead to the steelworks in Rotherham and Sheffield being sold on without the pension fund liability. 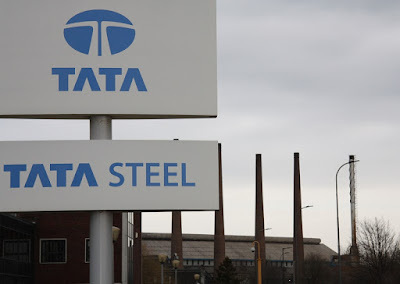 Seven suitors made it through to the next stage but some believe that Tata may even stay in the UK and keep some of its assets, especially as the Government examines pension liabilities and offers financial support. Port Talbot has been turned around since the much publicised £1m a day losses. The Times reports that venture capitalist, Edmund Truell - the pensions and investment adviser to Boris Johnson, has started talks with Tata Steel, the pensions regulator and the Treasury to outline his plan to save the UK assets. The British Steel Pension Scheme (BSPS) is a huge pension liability with a £700m deficit that could be a deal-breaker for prospective buyers. The Government has recently closed consultation on the scheme - seen as the first step in a potential unprecedented change to regulations which would enable the scheme to modify its benefits enabling it become self-sustaining and remain outside of the Pension Protection Fund - the safety net that provides compensation to members of eligible defined benefit pension schemes when things go wrong. Proposed changes would enable the Government to cut billions from longer term liabilities by switching the indexation of pension increases from the RPI inflation index to the usually lower CPI measure. It is now reported that Truell is planning to take control of Tata's operations, including Port Talbot and the Speciality Steels business in South Yorkshire, and then selling them, as separate entities or together, without the pension fund. The scheme has 130,000 members with assets of £13.3 billion and liabilities. Having taken over the pension fund, risk insurance and hedges in the reinsurance market would be used to offset longevity among members and future rates of inflation. Albion Steel, a new vehicle led by former Corus CEO, Tony Pedder, has been trying to take on the Speciality Steels business which has a £275m of turnover and is Tata Steel Europe's only Electric Arc Furnace (EAF) based business, specialising in carbon, alloy and stainless steels for demanding applications like aerospace, motorsports and oil and gas. Edmund Truell has 30 years of financial services experience including leadership positions in banking, private equity, pensions, insurance and debt investment. After selling out of Duke Street Capital in March 2007, he co-founded with his brother Danny, a regulated insurance company, Pension Insurance Corporation, which now has over £10 billion in assets under management and has insured some 100,000 pension fund members. In 2013, he was appointed as chairman of the London Pension Fund Authority, which has £4.8 billion of assets. Surely the seller of an entity must transfer the liability encapsulated by that entity.